It was a great pleasure to support the Academy of the London Sinfonietta from its outset in 2009 as well as in 2010 and 2011. This was a forum for young orchestral musicians, specially selected by members of the London Sinfonietta, who spent one week in intensive rehearsals of several masterworks of contemporary music under the inspirdirection Elgar Howarth and of Pierre-Andre Vallarde. The final concert on the last day of the Academy clearly demonstrated the progress achieved with these groups. 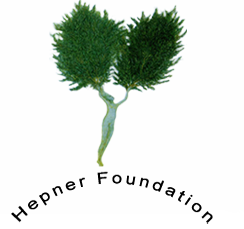 The Hepner Foundation delighted to support the Academy.